Robin: "You stole the Blue French Horn for me?" Ted: "I would have stolen you a whole orchestra." How romantic was it when Ted stole the French Horn for Robin on their first date? More romantic than Lloyd holding a boom box outside of Diane's window, or the Tramp saving the last meatball for Lady! It seems Ted stole her heart at the same time. 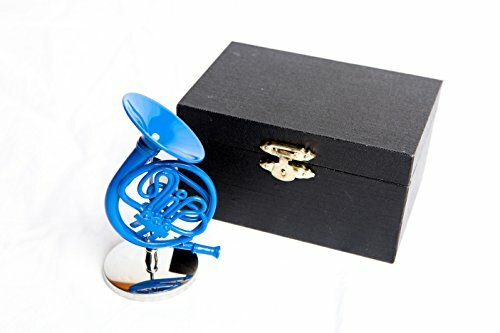 Now you too can steal your special someone's heart; let this Decorative Blue French Horn be your romantic gesture! Brass French Horn, hand-painted blue. Great decorative piece for anywhere in your home or office. You don't need the whole orchestra - this is the perfect gift to steal her heart. If you have any questions about this product by Cool TV Props, contact us by completing and submitting the form below. If you are looking for a specif part number, please include it with your message.